KUALA LUMPUR: Permodalan Nasional Bhd (PNB) and Tan Sri Liew Kee Sin now collectively own 78.95 per cent of SP Setia Bhd. This is after the mandatory general offer (MGO) for SP Setia by PNB and Liew, as joint offerors, closed on March 19 this year. Therefore, SP Setia will request to Bursa Malaysia for an acceptance of a lower public shareholding spread, PNB and Liew said in a joint statement yesterday. The aggregate shareholding of PNB and the unit trust funds under its management increased from 32.99 per cent in September 2011 to 70.71 per cent as at March 19, while Liew maintains his 8.24 per cent direct stake in SP Setia. The MGO was triggered in September last year when PNB and parties acting in concert with it raised their collective stakes to 33.17 per cent, slightly above the 33 per cent threshold for triggering MGOs. PNB and Liew yesterday reaffirmed their commitment to maintaining SP Setia's listing and stature as the premier property developer on Bursa Malaysia. PNB president and group chief executive Tan Sri Hamad Kama Piah Che Othman and Liew said they will also work with advisers and SP Setia to explore all possible options to restore its public shareholding spread. "We are happy that this exercise concluded satisfactorily. We believe that SP Setia will continue to perform well, and be a significant contributor to the investment portfolio of PNB and the unit trust funds under its management, which will benefit our 10.7 million account holders," Hamad Kama said in the statement. Liew, meanwhile, said that the joint offerers look forward to continuing building on the strong success of SP Setia by strengthening its property sales. "We are confident we will be able to see sustained growth in the remaining quarters of this financial year," he added. SHAH ALAM: SP Setia Bhd yesterday announced a record-breaking quarter with sales at RM933 million for its first quarter ended 31 January. This was the group's highest ever sales in a single quarter and a 27 per cent increase from its first quarter FY2011 sales. As at February 29 this year, SP Setia's sales for the first four months of the financial year totalled RM1.23 billion, another new record, and a 29 per cent increase from the corresponding period last year. SP Setia president and chief executive officer Tan Sri Liew Kee Sin said the strong performance indicates that the group is well on target to achieve and deliver its FY2012 sales target of RM4 billion. Sad state: The Platinum Damansara Condominium which was left uncompleted. Frustrated by the delay in reviving the Platinum Damansara Condominium project, about 30 buyers held a protest in Ara Damansara last Tuesday to voice their grievances. The project, consisting of four blocks of service apartments and a commercial building, stalled in 2007 and the buyers are having a tough time finding interested parties to revive it. It was once promoted as a high-end service apartment in Damansara but today it is in ruins with squatters taking over the development, posing health and security risks for the surrounding township. Abandoned Platinum Damansara Condominium Purchasers Association committee member Noel Vong said there were many court cases that delayed the project even further. “However, last year we managed to get an interested party to revive the project. “We hired a consultant and scheme manager to draw up a scheme of arrangement with the developer,” he said. The move was supported by 410 buyers out of 422 who attended a meeting on June 14 last year. There are a total of 680 buyers. Vong said the scheme had the support of the bank which provided the finance as well. “On June 17 last year, the Shah Alam High Court approved the scheme but almost immediately after the decision, several parties filed claims to set aside the scheme. “After several court hearings a decision was made by the High Court on Nov 30 to set aside the scheme and we were back to square one,” added Vong. The buyers in turn filed an appeal and the case will be heard on April 5. A buyer, Paul Adaikalam, said many purchasers had been declared bankrupt as they were are unable to pay the bank loans. 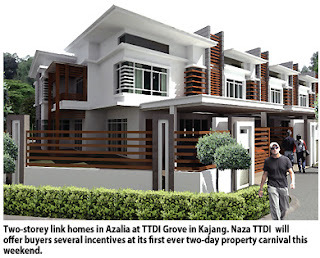 “Each buyer pays an average of RM50 per day in interest and there are so many stories of civil servants losing their jobs, businessmen being blacklisted and pensioners who invested now left without a home,” he added. Vong said the revival cost had also increased, forcing buyers to fork out an extra 25% for work to be completed. 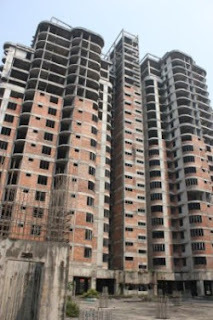 “It was stated that the project was 80% complete when it stalled but today due to vandalism, the building looks only 30% complete,” he added. KUALA LUMPUR: IGB Corp Bhd retail real estate investment trust (REIT) aims to raise up to RM700mil from a planned September listing, according to a source, banking on its flagship shopping malls to draw in investors in volatile market conditions. The initial public offering (IPO) of IGB’s retail REIT will be the fourth largest in the country this year after the planned listings of Felda Global Venture Holdings Bhd, Integrated Healthcare Holdings Bhd and Gas Malaysia Bhd. “The listing will raise about RM600mil to RM700mil,” the source, who had direct knowledge of the deal, told Reuters. The source, who did not want to be identified as the details of IPO are not public yet, said the book-building process would start in August or September. The source added that prime assets such as Mid Valley Megamall and The Gardens Mall would be part of the retail REIT. 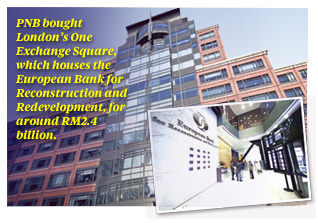 The investment arm of Malaysia’s No. 2 lender CIMB Group Holdings Bhd is the lead banker for the deal.